Indoor gantry crane provides a highly efficient lifting and moving materials within an indoor facility. It allows the loads to transfer from area to area easily without need of too many labor forces. 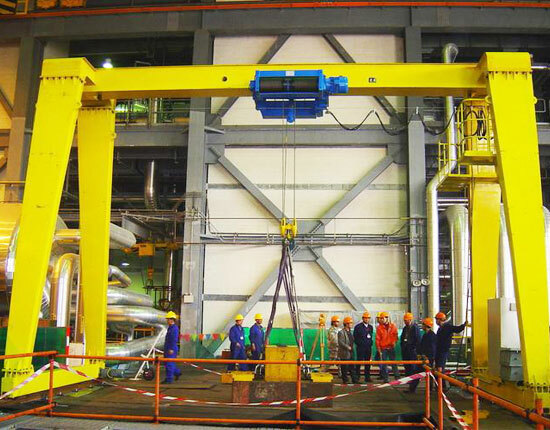 The indoor gantry cranes come in light duty and heavy duty designs to suit various production lines, including loading, unloading, manufacturing, assembly and maintenance. It serves a wide range of fields, such as workshop, warehouse, workstation and garage to carry out small to heavy lifting tasks. This lifting equipment is designed in two main configurations including single girder and double girder. The light duty gantry crane for indoor use more often falls in single girder or mobile design to offer a convenient lifting movement. 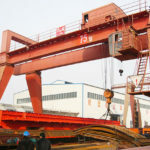 The small mobile gantry crane is usually made of steel or aluminum. 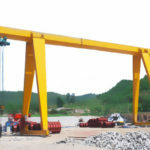 For medium and heavy lifting requirements, we offer various types to meet your practical needs, mainly including rail mounted gantry crane, rubber tyred gantry crane and semi gantry crane. Specialized in material handling industry for many years, Ellsen machinery fabricates a large variety of gantry lifting equipment for many different industries, from which you can find the most suitable lifting system for your individual application. 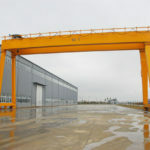 Different types of indoor gantry crane are designed for different purposes, and they can be configured with various forms and structures to undertake diverse lifting jobs. 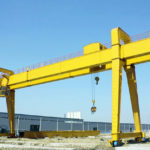 We highly recommend several main models of gantry cranes for your indoor working areas. MH type gantry crane is a kind of small and light duty gantry lifting equipment, widely applied in both indoor and outdoor places, such as warehouse and workshop of manufacturing and assembly lines to load, unload and transfer materials. It lifts with small capacities, usually up to 16 ton. As one of the most commonly used indoor gantry cranes, this single girder crane can significantly improve production in your factory. In contrast to MH type, the double girder crane can realize a larger capacity, greater lifting height and speed. This type of indoor gantry crane is capable of lifting large and heavy loads up to several hundreds of tons. Mounted on the rails of ground, it travels with a fixed path. Semi gantry crane is a perfect solution for working area where the space is limited. It can be used in various indoor workplaces with one side supported by wall-mounted rails. This indoor gantry crane comes in two main configurations, including single girder and double girder. According to different lifting needs, your indoor gantry crane can be configured with right capacity, size and so on. 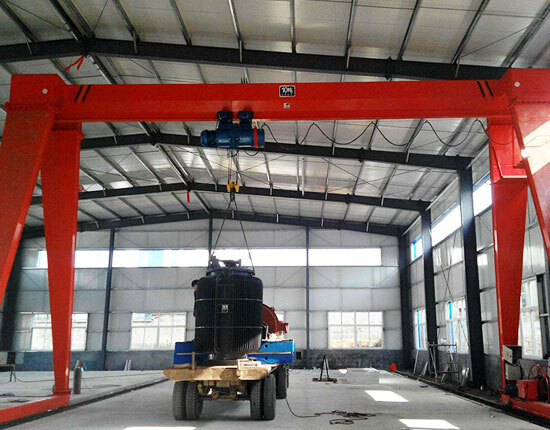 This type of indoor gantry crane is a kind of portable gantry crane, traveling by means of tires or wheels attached at the bottom of the crane, thus it can move freely within the working area. The small portable gantry crane is typically made of steel or aluminum, widely used in shop, garage and workstation. You can also choose some flexible designs, including adjustable height and span. The indoor gantry crane is mainly composed of metal structure (main beam, end beam, legs, end carriage and so on), hoist trolley running mechanisms, crane running mechanism and electric control system. The metal structure we design is continuously optimized to improve performance and durability. When it comes to structural design, we always take several things into consideration such as materials, manufacturing process, ease of use and maintenance. We also adopt high quality materials and precision machining to ensure a solid construction. 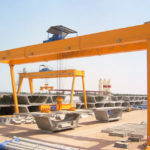 The lifting mechanism is the most fundamental component of gantry lifting equipment, which will directly affect the performance of the crane. It mainly consists of driving device, wire rope winding system, hook and protection device. The running mechanisms are used to bear the weight of crane and trolley as well as drive them to move. The running devices of indoor gantry cranes can be classified into track and trackless operations. According to actual lifting requirements, you can select the most suitable running device. 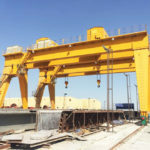 We have experienced engineers to design the best indoor gantry crane system for your application. Besides, custom design is provided. 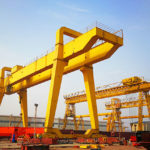 Looking for a gantry crane system? Contact us online now and we are happy to help build a lifting solution that can best serve your need. 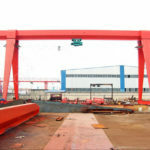 Why Use Indoor Gantry Crane? For indoor working environments, you can use overhead and gantry cranes to handle various materials. Each type of lifting system has its own advantages and disadvantages, so you should choose the most appropriate one based on the indoor environments. 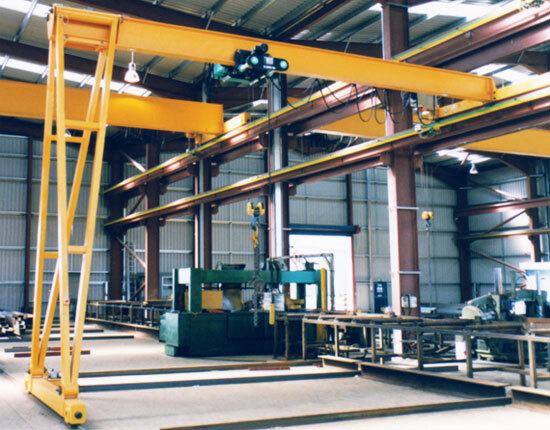 Here are some reasons why you should use indoor gantry crane. Compared with overhead bridge crane, the most prominent advantage of using indoor gantry crane is that it does not require any building structural support or engineering column to undertake the whole equipment, nor does it need permanent construction. 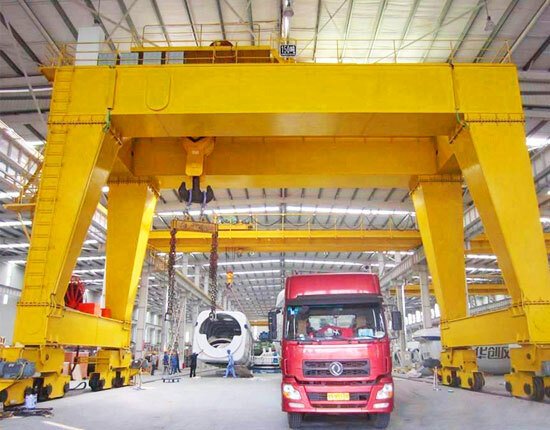 The indoor gantry crane can be assembled and dissembled easily so that it can realize a quick and convenient relocation. Considering the equipment may need to be moved to a new workplace for reuse in the future, indoor gantry crane can be a preferred choice. The mobile type indoor gantry crane provides a more flexible movement, which allows you to move loads freely within the facility. The indoor crane gantry can significantly improve efficiency for your production lines, thus saving a great deal of time and money for you. By adopting many safety devices such as load limiter and anti-swaying device, this indoor lifting system provides a safe and stable performance. This gantry crane equipment is highly adaptable to many workplaces, realizing a wide range of applications. We supply various types of indoor gantry cranes to help get your lifting work done quickly and efficiently. We also provide other styles of lifting equipment for your indoor and outdoor uses, such as overhead crane, jib crane, electric hoist, and winch products. If you have any trouble selecting a gantry lifting system for your application, you can consult our sales team and engineers online to get the best material handling solution as well as a free quotation. Our indoor gantry cranes for sale are fabricated in strict compliance with both international and local standards. All of the accessories are purchased from dependable suppliers. Besides, during the whole manufacturing process, every part is closely supervised so as to guarantee the quality of gantry lifting equipment. We also provide customized indoor gantry crane on your request. For after-sale service, we offer installation and maintenance services to clients. To know more about indoor gantry crane, contact us online now!